The Pan-African organization United Cities and Local Governments of Africa (UCLG Africa) (www.UCLGA.org) organized on April 07, 2017 in Rabat (Morocco), a workshop on the access of local and regional authorities in Africa to climate finance. Only States are responsible for the negotiations and the resulting commitments in the fight against climate change under the United Nations Framework Convention on Climate Change (UNFCCC). However, Cities, and more generally local stakeholders, play a central role in the implementation of these commitments and more generally in the implementation of measures to combat climate change. Cities now house more than half of the world population and consume 60% to 80% of the energy produced globally. Three-quarters of our greenhouse gas emissions, that are the cause of current climatic disturbances, are directly associated with urban spaces, and it is a known fact that by 2050, 75% of the world’s population will live in cities. Cities now house more than half of the world population and consume 60% to 80% of the energy produced globally. During COP22, African cities requested the establishment of a dedicated window for sub-national governments within the Green Climate Fund. They expressed the hope that a capacity-building program would be set up to make local governments eligible for green climate funds and other climate finance instruments. 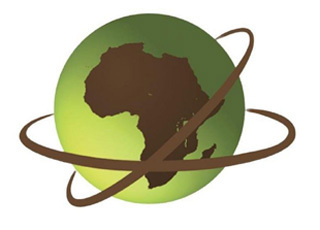 Finally, African cities proposed that UCLG Africa be recognized as an implementing agency for the Green Climate Fund. Bringing together Moroccan institutions (Interior Ministry, General Directorate for Local Governments [DGCL]), the Cadi Ayyad University in Marrakech, and the Communal Equipment Fund (FEC) and international institutions (ISESCO), two International associations (ENERGIES 2050, Dossiers et Débat pour le Développement Durable [4D]) and international experts, the workshop was an opportunity to provide concrete ideas for implementing these recommendations at COP23. The goal of the workshop was to initiate a process of implementation of an ecosystem bringing together all relevant players, so that African local authorities are able to submit applications that are eligible to climate finance, and in particular to the Green Climate Fund. This workshop also served as a starting point for the establishment of a Task Force with the aim to design and implement a roadmap for the proposed ecosystem, of which a first presentation will be made on the Preparatory meeting for COP23 in May 2017 in Bonn, Germany. The workshop finally hosted the signing of a protocol between UCLG Africa and ENERGIES 2050, an NGO that intervenes on the International scene to implement a low carbon development model. This protocol is the first of a series that will realize the establishment of the Task Force to support the cities and territories in Africa in accessing climate finance.